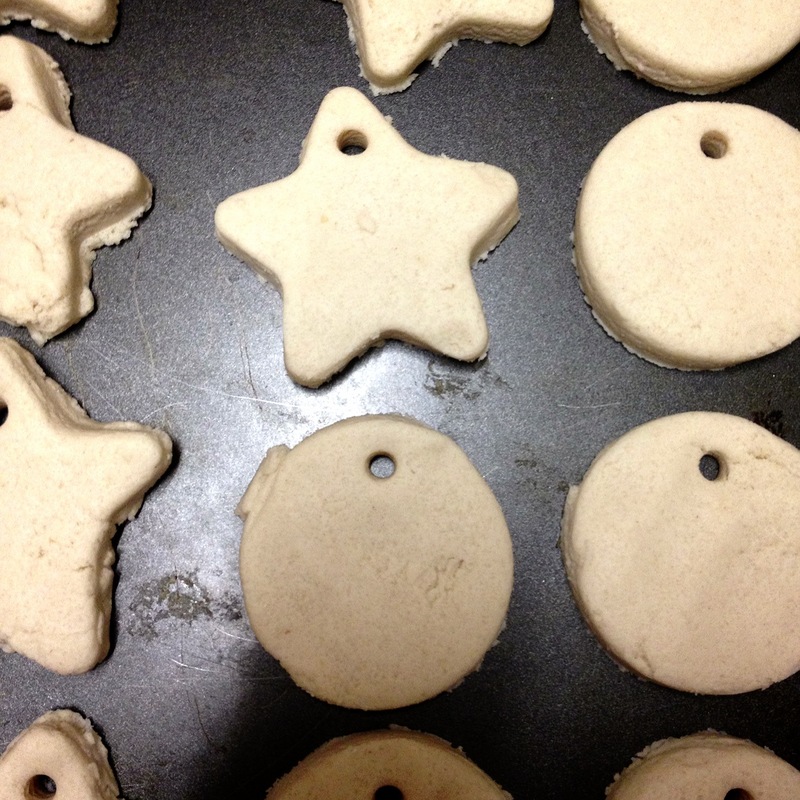 A couple of weeks ago I read a blog post on Gypsy of Jaspers blog about how she made Salt Dough Ornaments. 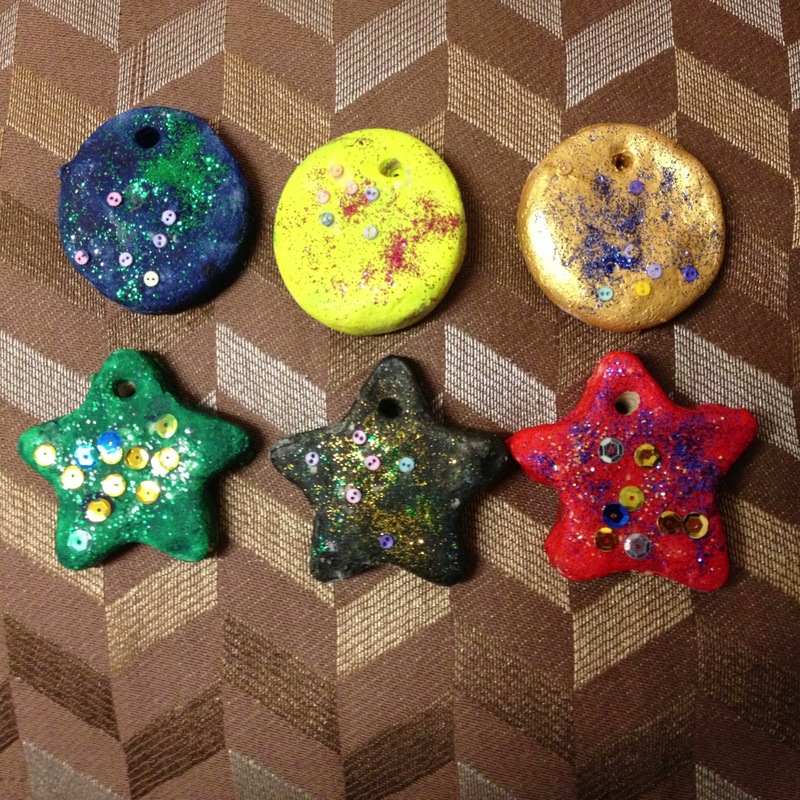 This gave me the idea of making some with my niece so I stuck to stars and circles. I would have loved to have taken more photos of my niece creating them but time was against us as her parents kept turning up even if we started early which left my niece in tears. 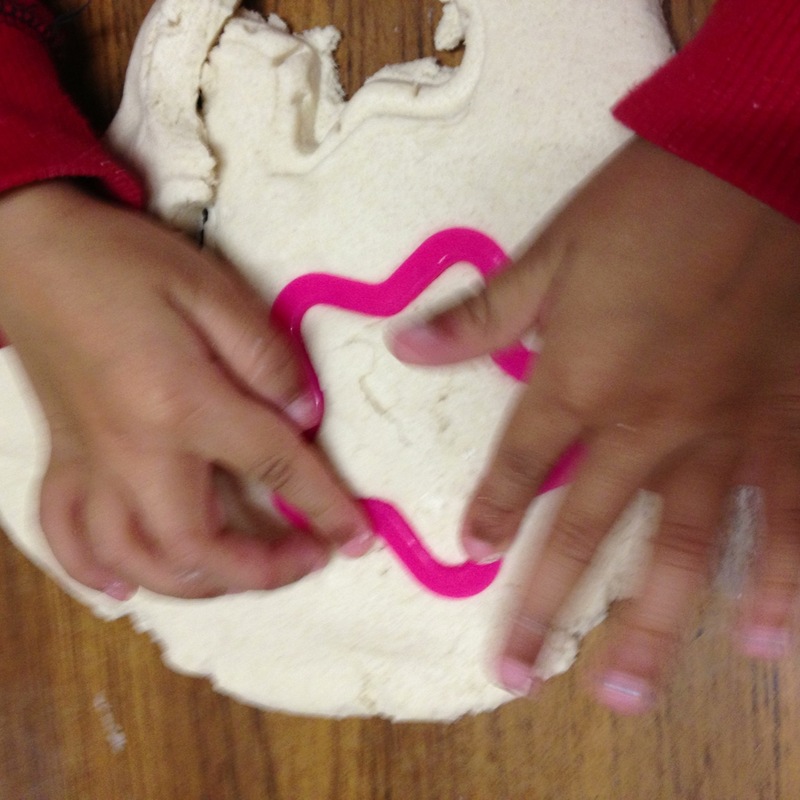 The only thing I did was roll the dough out as I wanted to keep them thick incase they were too thin and would break. This meant that they needed at least 6 hours to cook! I made the holes using a big straw as suggested by Gypsy of Jaspers which was great when it came to painting as it made it easir to clean the holes once the paint had dried. I used acrylic paint and poster paint mixed with pva glue. I found the acrylic to be best because it dried quickly but also the paint stayed on whilst drying. Where as the Pva glue was great once dried but you couldn't touch or move it until then because the glue would peel off. 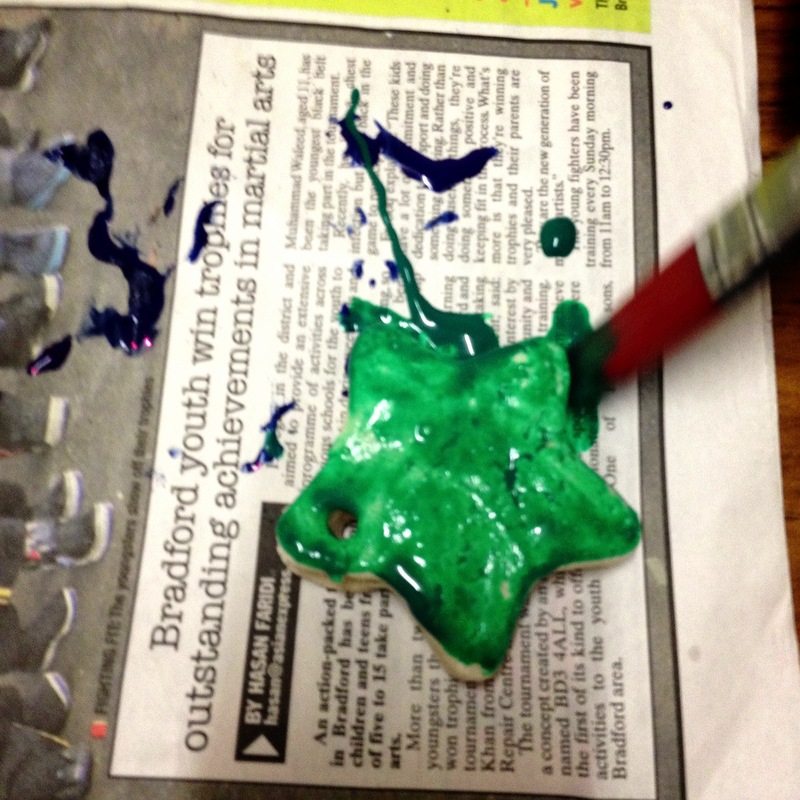 The reason I added glue is that I got my niece to decorate each ornament as she painted them so that it dried together. Whoever received one loved them so its definately a great and cheap gift to make with little ones (but also you can make them too). I did however use a different ingrediant compared to Gypsy of Jasper as I felt hers would be too watery with having 1 of everything. which came together so easily and was nice and doughy. I would suggest keeping it an hour before making it (even over night if you needed to) so that it binds together much better but I used it straight away which was no problem either. Then cook them on your lowest heat, some people say you can turn the heat up but it will brown your ornaments which won't matter if you intend to paint them. I'm not sure how brown they will go though as I kept to the lowest heat. Its still only Christmas Eve so if you have forgotten someone I suggest you make them a batch of these.